FAST CHARGING: The USB Type C cable adopt Tin copper plated wire core, conforming to the Newest USB 3.1 standard, which supports 2.4A electric current, in order to realize a high syncing speed up to 480 Mb/s. SAFTY ASSURANCE: adopt 56kΩ electric resistor, the USB cable protect your device and legacy USB hub from damaging, please feel free to use it. 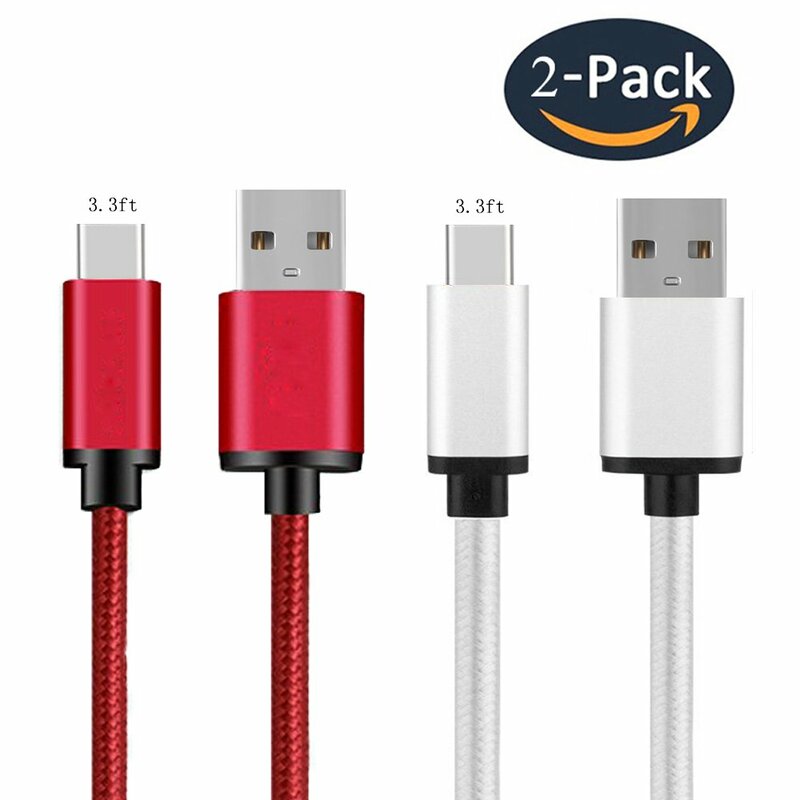 GOOD LOOKING AND DURABLE: braided with durable nylon and high-grade metal shell, the premium USB cable not only look luscious but also practical and durable, it would be the best choice in this price range. WIDE SCOPE OF APPLICATION: The cable Compliant with any USB type c port device, such as LG V30, Samsung galaxy s8, Nintendo Switch, Google Pixel, Nexus 5X/6P, Lumia 950/950XL, HTC10, Huawei P9 / mate 9, New Nokia N1 tablet and so on. WARRANTY: Aluan USB Type C cable with 1 year quality guarantee. All quality-related issues can be resolved by contacting us via the Ask a question button.